By Mustaza Mustafa in Social Media. Updated on December 14, 2017 . Listening to music and singing along together with your friends can be a wonderful and memorable experience but you can only do that when you are physically together. But here’s some good news. The whole experience is about to change because even from home, you can now listen to music, new and old, with your friends, on Facebook. With the new Facebook ‘Listen With’, you get to listen to music on Facebook and share the experience with your friends in real time. No status updates are required, instead the music you play will automatically be reflected on your chat sidebar on Facebook and your friends will be able to join in, and even chat about it. With more friends listening, the chat can even turn into a group chat. 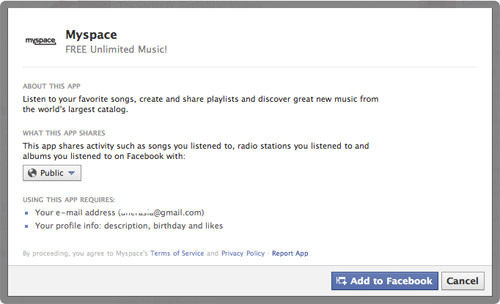 To listen to music from Facebook, first log in to your Facebook account. When you have logged in, head over to the Facebook Music page (http://www.facebook.com/music) and you will see a list of trending albums with music tracks powered by Myspace and Saavn. There’s also Spotify and Rdio but currently the use of these two are only supported in a few countries. 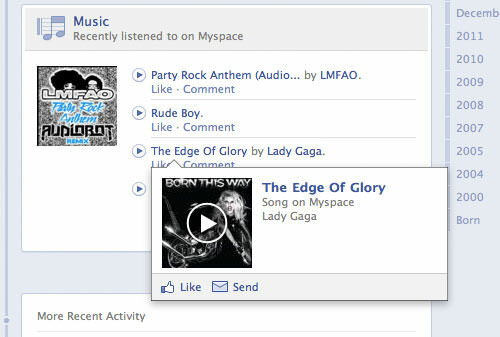 You can also open the music page from your Facebook wall by accesing it from the left menu under the “Apps” category. When you are in the Music page, pick any music you’d like to play and a pop-up window will ask you to add the service to Facebook. 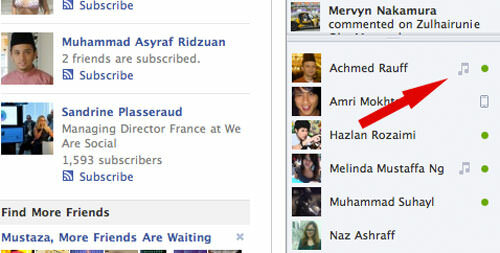 Simply click on the “Add to Facebook” button. 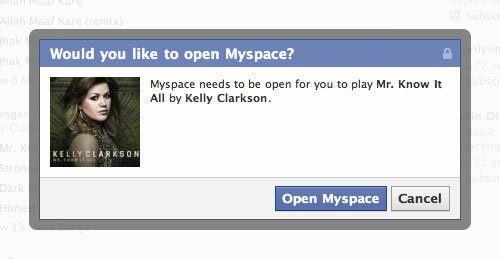 Note that the pop-up window above is to add the Myspace application only. You will be asked again to add new apps should you want to play music from Spotify, Rdio or Saavn. Once added, the music application will open a new tab on your browser (or new window, if not supported) and you will be redirected to the Myspace or the Saavn player page. No action is required, simply wait for the page to load and the selected song will be played automatically when it is ready. Just so you know, the next time you want to start playing a song from Facebook, you will see a pop-up window asking if you would like to open a new tab/window to start playing the song. 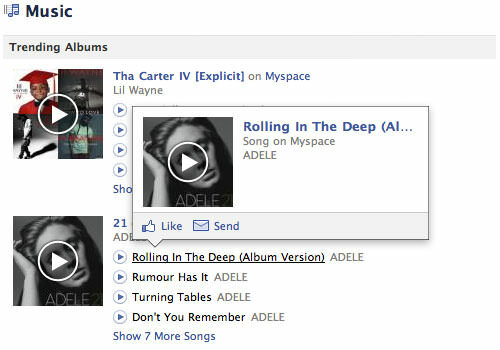 Facebook Music updates itself automatically, and you will be able to check who is listening to what, in real time. This also means that your friends will be able to know if you are listening, so they can join you or comment on your activity, or start a conversation. There are several ways to find out if your friends are listening to music. On your Facebook Wall, check out the status updates on the right. If your friend is playing music, you will be able to see the traction. Click on the traction status to see the playlist in detail, comment to start a conversation and click “Play” to start playing the music. On the Facebook Timeline, you will be able to check recently played music statuses and this will be updated automatically. Simply click the play button to play the music or hover for more details. On your Facebook chat sidebar, there will be a music symbol updated next to your friend’s name if they are listening to music at that point of time. 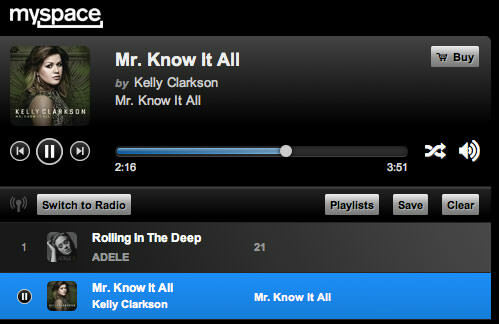 This feature is however currently only available for music played on Spotify and Rdio. If you listen with Myspace or Saavn, you may need to wait for this feature to be available. 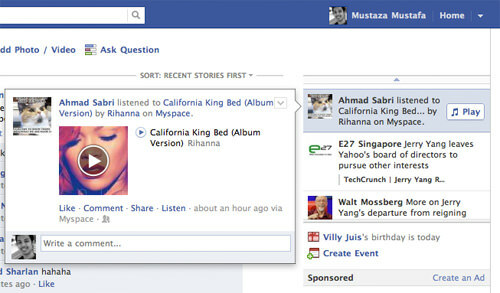 Now you can already listen to music on Facebook, and check if your friends are listening too. What about listening together with your friends and also chatting about it in real time? Right now, you will only see this feature if Spotify and Rdio are available in your area. When this is available, simply hover over your friend’s name (one with a music symbol next to it), and a new pop-up will show with music details. Click on the “Listen with” button to listen to the music, and just start chatting. When there are more friends listening together, the chat will automatically become a group chat. The new music feature on Facebook connects people with and via music, and brings a whole new experience to the Web. No manual updates are required since every status is updated automatically. Nevertheless you could still change who will be able to listen together with you, and also change who will be able to see your music traction.